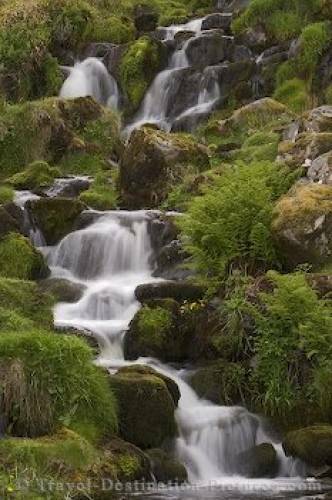 A waterfall situated in the Hebrides region of Scotland, Europe. Scenes like this are very common on the green Isle of Skye. The abundance of water, from the sea and from the sky, forms a very green, hilly and wet landscape, which gives the whole region a fresh and lively look.